NEW YORK (Nov. 15, 2010) — It may not be easy being green, but it's certainly possible. 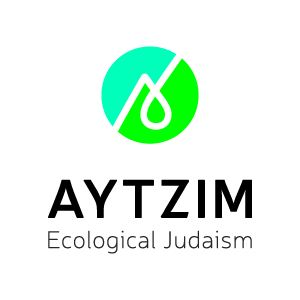 While the Jewish Federations' General Assembly and International Lion of Judah Conference in New Orleans accomplished important work this past week, it did so at the expense of the environment. Organizers of the conferences didn’t provide recycling or composting containers. Instead, the two meetings produced a massive amount of non-biodegradable plastic trash. Every single meal was served on plastic with individually wrapped plastic flatware. Boxed lunches came with plastic water bottles. The community-service component of the GA had us cleaning up the refuse that's still hanging around from Katrina's wrath five years ago, but in the process we also created a whole mess of trash for New Orleans' landfills. The past World Zionist Congress in Jerusalem wasn't any better. But at least that's going to change: Thanks to resolutions passed by the Green Zionist Alliance, the next Congress will be carbon neutral, with both the carbon generated from the Congress itself as well as from delegate transportation to it offset through carbon-mitigating projects in Israel. Waste will be reduced, recycled and composted. Delegates will travel within the city using sustainable modes of transport. At least half of the food served at the Congress will come from organic, local farms that pay their employees fair wages. And the amount of meat served at the Congress will be reduced, with any meat that is consumed coming from animals raised and slaughtered according to both kosher as well as humane and ethical standards. The good news for the ILOJC and General Assembly is that there are lots of opportunities for improvement. And with the Green Zionist Alliance resolutions in hand, we already have the blueprint for moving forward. As I told those who attended the only environmental session at the ILOJC, next year's ILOJC and GA in Denver can and should follow sustainable environmental practices. We need to make the "G" in GA stand for "Green." I and my fellow speakers on the ILOJC environmental panel are ready to help make that a reality. Together, we will be doing our best to ensure that next year's GA in Denver will be the first Green Assembly.